They say Politics can divide best friends and it seems real when we look at how the two inseparable besties Pawan Kalyan and Ali’s war of words between each other. 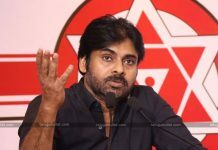 The other day, while campaigning at Rajahmundry, Janasena Chief Pawan Kalyan for the first time cornered his good friend Ali by claiming that the latter betrayed him in Politics. At one point, Pawan went on to an extent and stated that Ali opted for YSRCP despite all the help he had from Pawan Kalyan in tough times. Countering this, Ali came up with a video asking Pawan Kalyan if he did any help in the prior’s career regarding money or movie chances. He straightly questioned Pawan if he has no right to choose a political party and declared that Pawan never invited him into the party even though the distance between these two is just a phone call away. Ali feels that Pawan did these false claims as the Janasenani got provoked by the people around him. Finally, Ali requested Pawan to take back those words because he got deeply hurt by Pawan Kalyan’s fake claims. 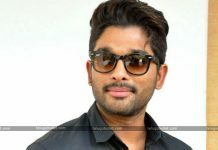 Some are agreeing with Ali’s explanations but the ardent supporters of Pawan Kalyan still point out at Ali for not taking the first step and approach Pawan Kalyan for a ticket before joining YSRCP. With all the fuss, these two once best friends cannot continue their deep bonding anymore.